Ted was the first through when the police dismantled the road block. He drove past blackened stumps like burned arms raised for help in a sea of ash. He pulled up in front of a scorched brick wall, rubble of embers and fallen bricks, a chimney still smoking. 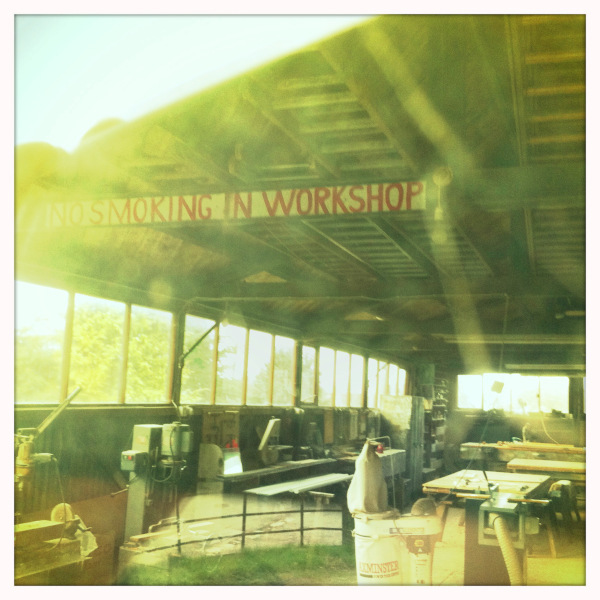 When he looked through the glassless window into her workshop he saw tree skeletons silhouetted against a smoke sky. Her red sedan, now shock white, was in the yard. Sheets of blistered tin lay across the windscreen as if, in a last desperate panic, her roof had tried to shield her. This entry was posted in Short stories, Uncategorized and tagged fiction, flash fiction, Friday Fictioneers, short stories. Bookmark the permalink. Many reasons, Bjorn. In Australia the threat of bushfire is a particularly real one. Very descriptive, Karen, and so sad. Yes, it is sad, Janet. Next time I’ll write something a little more uplifting. Karen, this piece reveals so much to the reader without an explicit word about what has occurred. And as a fairly new devotee of the open ending, I applaud the one you’ve left us with here. Bravo! As another devotee of the open ending, I thank you, Diana. Excellent story Karen and very powerful in your descriptions. I did like the ending of the roof iron trying to shield her. Well done. Thanks, Michael. I imagine you’ve seen your fair share of burnt landscape. Yes every year there’s a new one to look at. ‘Stumps’ image particularly horrific. Then, the shock white car, the roof – oh, dear. Well done, Karen. Evoked so much. To get such a comment from you, Anne, gave me a real thrill. Thank you. I remember your class on better descriptions of colours and this is a perfect example – shock white – wow! A description of a colour that has maybe never been used before but tells the reader so much. Also I LOVE how you left ‘her’ to the very last word. I didn’t feel it was open ended; I took that to mean very clearly that the girl he cares so much about has died. Sadness wrapped up in one word: her. Well done! Thanks, Jessie. While the writing clearly indicates she died, it’s not stated definitely. Is that an open ending? Perhaps an optimist could still hope she survived. You’ve raised an interesting question. That is a good point… are all stories that don’t specifically state the ending, open ended? hmmm… topic for a future post perhaps!? Some excellent imagery here, ‘burned arms raised for help’, ‘tree skeletons’, ‘shock white’. Nice piece of writing – well done. This story creates a sad, vivid picture in my mind as the reader. No further explanation is needed in the story.. Thanks, Patricia. I appreciate your comment. Vividly and wonderfully descriptive. I could almost smell the smoke and ash. Some lovely imagery. Your reference to “tree skeletons” was a subtle hint at “her” likely fate. I’m thrilled you took the time to look so closely at my story. Thank you. Hi kz. Thank you for the kind comment. I’m really touched you were moved by my story. Thank you. When you say ‘the roof tried to protect her’ it seems clear she died. It was a gentle caring image/ending in contrast to the earlier disturbing images. For me, the story had a life after the reading. It reminded me of the terrible 1994 bushfires when I lived in the mountains and some months later, we went for a walk at Evans Head and those arms you speak about were there! Anne says when I say a gentle/caring image I mean in intent not in its imagery. My comment does read a little ambiguously. Karen, this is such powerful writing. Can we have some more? Is there a back or forward story to this? You describe this horrific scene well enough for me to visualize it. Thank you, Dawn. It’s quite an horrific scene to actually see. Surreal, even. Sandra, your descriptive scene is really well written. I could see this place, smell the smoke. Great job; this is wonderful. That’s funny. Don’t worry about it, Delia! Good story, sad ending though. Unfortunately it is so often a true ending for the bushfires we have here. Thanks for your kind comments, Nan.